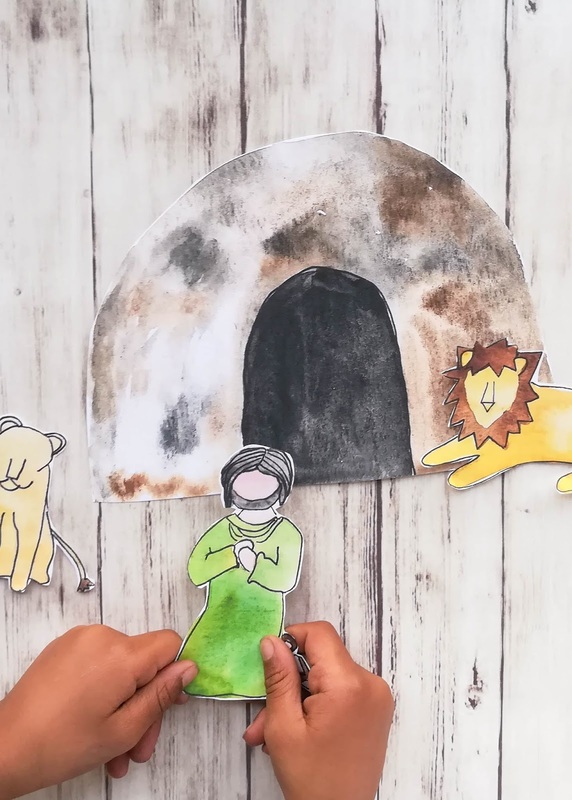 Daniel and the Lion's Den Paper Dolls. 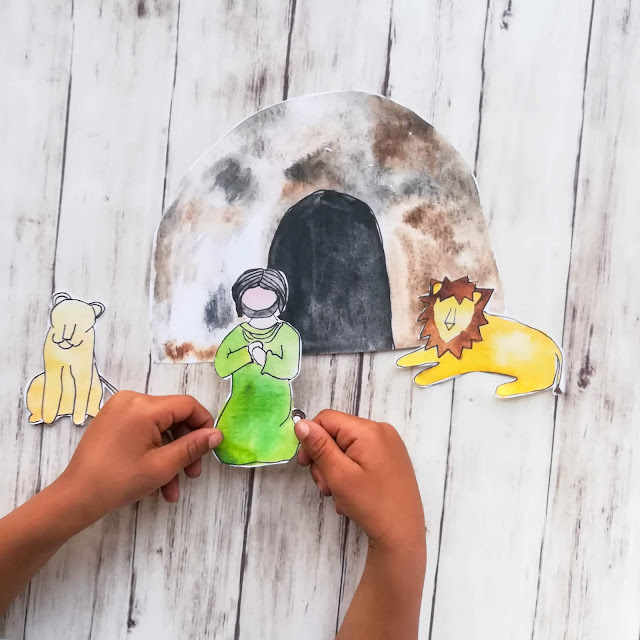 This Daniel and the Lions Den paper play set is the perfect addition to family home evening, family scripture study and Primary lessons! One of my primary goals in life is to develop a deep testimony of the scriptures. I set aside time each morning to read and ponder God's word, and I'm constantly looking for ways to inspire my kids to love the scriptures. From a young age, tell the stories of the scriptures. I try to tell a scripture story or two during the sacrament. Not only does it help my little one(s) stay still and quiet during the most important part of our Sabbath worship, it also helps me to feel like I'm getting something out of the meeting. It's easy with littles to feel like I'm missing out on my time to worship). Tell the stories on their level. Don't get into deep doctrine, this is just the time to help them become familiar with what happened, they'll be ready for a deeper understanding as they grow and hear the stories more often. We've really loved this very simple bible storybook. The illustrations are engaging and the stories are short enough that my very active 4 year old is engaged the whole time. For older children, this 5 minute family study is awesome! It includes a plainly-written summary of stories from the Book of Mormon and then includes the actual verses. It's a perfect blend for kids who are a bit older. 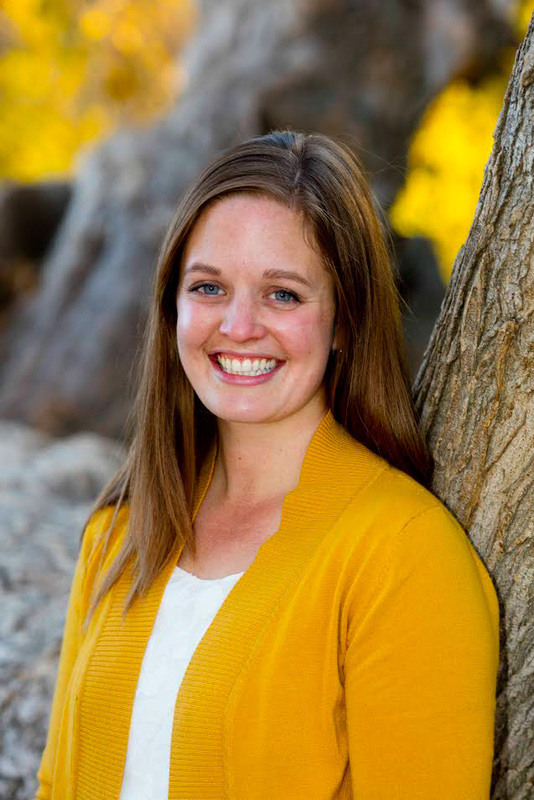 This post originally appeared on Little LDS Ideas. I'd love to see how you use this paper play set with your family! Please share a photo and tag me on Instagram!